Today WordPress users are faced with, I’d go as far as saying, the overchoice of decent free themes. Moreover, before being added to the official WordPress.org theme storage, all the templates are carefully examined by the WordPress quality assessment team. That is why we can now be sure that any template, available for free installation, is compliant with at least basic acceptable level of quality. So, at this juncture, we have a little left to do: choose a template that offers the widest choice of tools and stays in line with our objectives of website creation. fixing upon a specific niche-oriented theme, which was already pre-designed to present a particular type of business or, generally speaking, to serve a peculiar purpose. The process of building of each specific website and, correspondingly, choosing a suitable theme for it must be regarded on case-by-case basis. 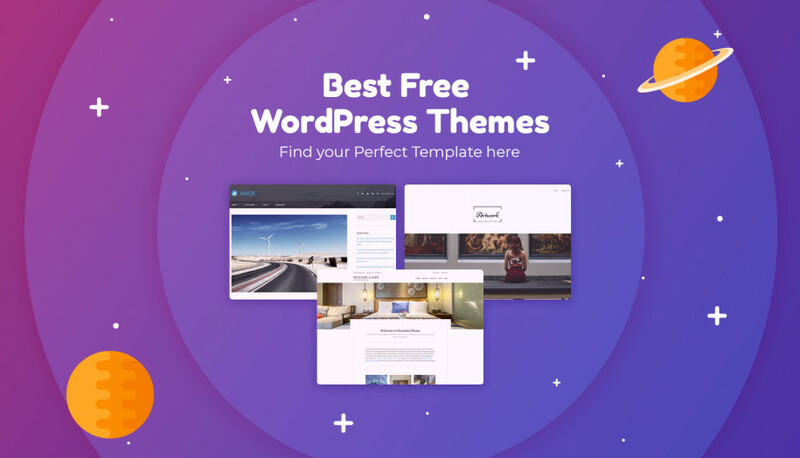 So today we are keen to share with you our hand-picked collection of the best free WordPress themes of both general and specific purpose, and let you pick the one that suits your needs and tastes the most. Emmet Lite is a patent example of a flexible one-page business theme. Having this template at your disposal, you will be able to let the visitors of your site get to know your brand’s DNA at a glance: list your business’s main info and add a logo or other images to the big banner content zone. Your information will be well-structured and split into various sections such as Call to Action, Price Tables and Packages, Portfolio, Our Team, and Testimonials. 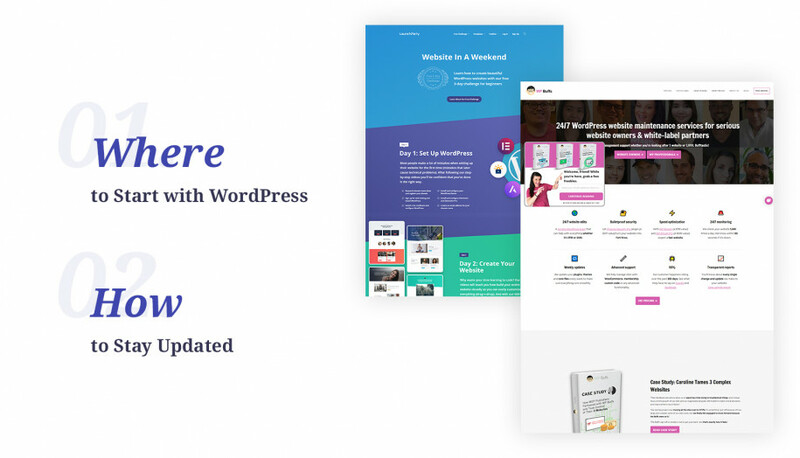 Furthermore, with Emmet Lite you are getting ready-made WooCommerce Products and Subscribe to Newsletter areas for putting all of your marketing objectives into effect. And to top it off, all the segments of your website will be smoothly alternated as you scroll with the help of the attention-getting parallax. 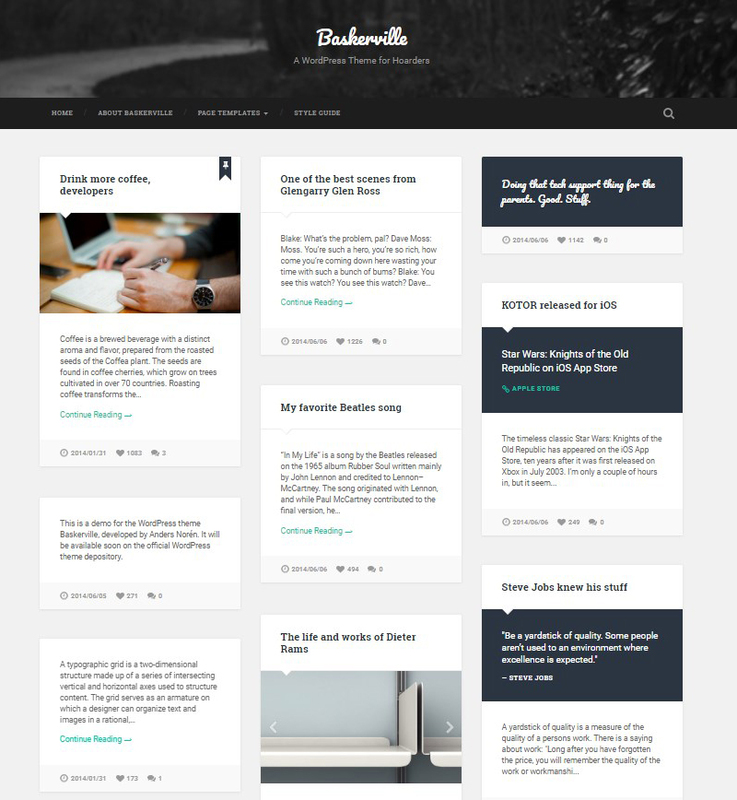 Baskerville is a masonry style theme that is notable for some of its beneficial options. Firstly, it has a ready-prepared Contributors page template, allowing you to give credit to the post authors of your website. Your co-authors data will be arranged as a large-scale grid gallery and feature each contributor’s short bio or amount of posts they’ve submitted to your website. Secondly, the theme supports all the nine native WordPress post formats (beautifully designed layout for the quote post type deserves specific mention) that makes the theme perfectly suitable for the websites with a mixed content filling, e.g, newspaper sites or topic-based blogs. 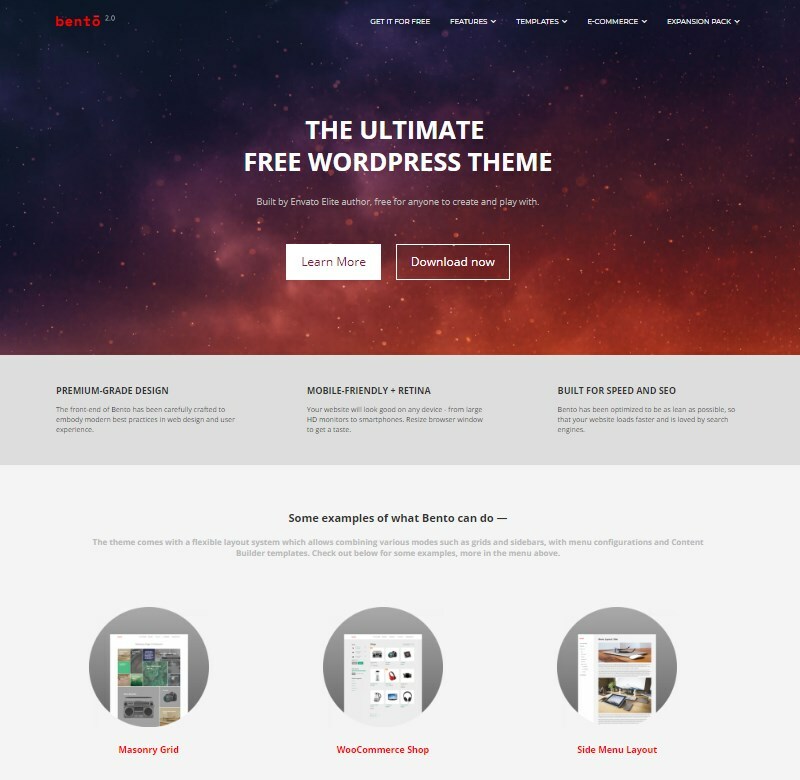 Shapely stands among the free WordPress themes that have the main emphasis made on the exuberant front page design. That makes Shapely a great choice for landing pages, eCommerce or portfolios. Large-scaled hero image, combined with inviting CTA buttons, is the first thing to catch the fancy of your website visitors. Other functionality elements, such as galleries, parallax sections, testimonials or your company’s/products’ concise featured data, can be effortlessly attached via widgets that means you don’t necessarily need to have sophisticated coding skills. 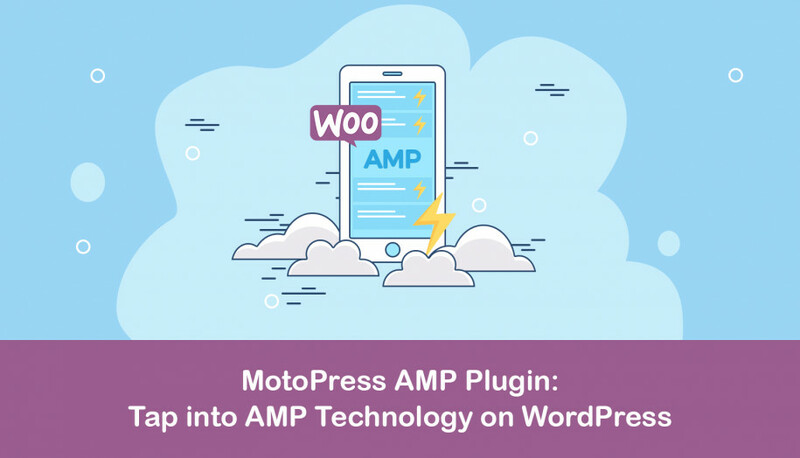 But if you need even more space for stretch of your imagination, the theme is fully compatible with a great number of free and premium WordPress plugins, allowing further customization of any website. 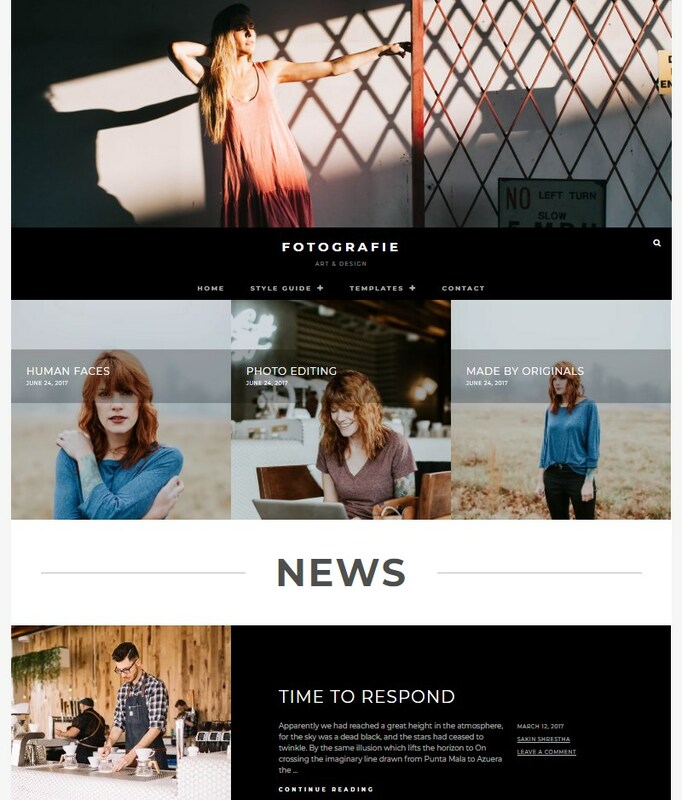 Being primarily designed to be an unfussy and clean-designed WordPress blogging theme, Avior can still make a real difference for you by having an advantage of page template selection: classic sidebar post layout can be as well switched to the spacious full-width page template. Besides that, you will have a chance to upgrade your website as your business objectives evolve by using pre-designed WooCommerce product selling pages. At the same time, all the time-honored blogger theme elements are still there for you: specify post detailed info, add vivid header images to your posts and give full play to the 3 menu locations available. A particular highlight of Customizr theme is its perfect mobile-friendliness. The developers team is constantly working on making the theme fully adaptable to the device or browser it’s being viewed from. Moreover, Customizr guarantees proper exposure of any content type you add by offering a host of ready-made outlines for various post types, 4 page/post layouts and 5 page templates, including the already designed Contact us page. One more evidence of theme creators’ caring is the theme documentation, written in an easily-accessible form that will encourage users to exercise their talent in the theme’s customization. 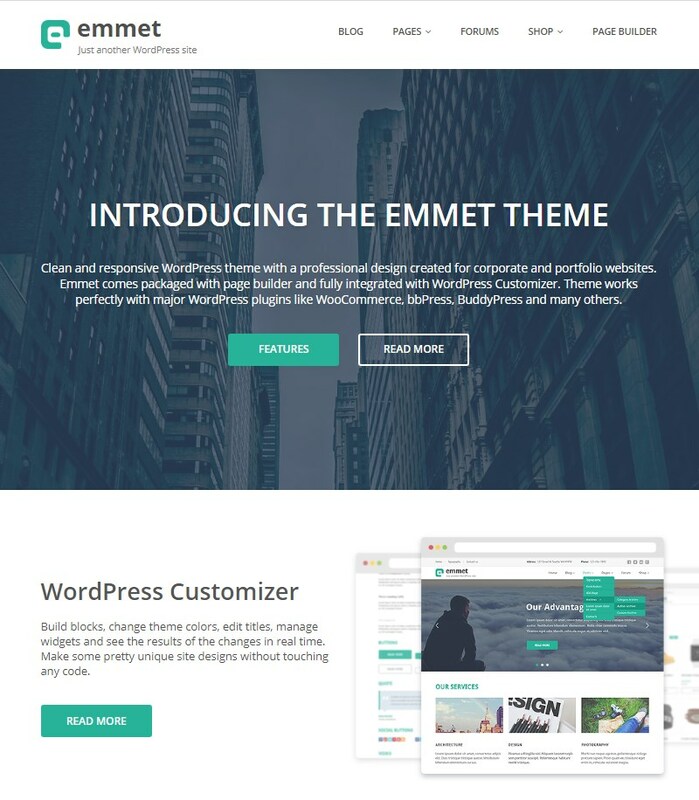 One of the most unique benefits of Cenote is the fact that this theme, apart from offering immediate demo content import via ThemeGrill Demo Importer plugin, provides its users with 3 ready-made demo websites (basic general purpose variant, fashion blog and technology blog demos.) The theme is comfortable with various WordPress post formats and suggests 3 common page layouts to choose from. To increase your website’s usability, Cenote is tooled up with Back To Top button, sticky menu and breadcrumbs support. P.S. Theme’s 404 Page template is really chic — be sure to check it out! Bento was developed to be an all-in-one option both for the users who would like to stick to the one-page mode and for the enthusiasts of the more extended multi-page design. Freedom of choice extends further and manifest itself as a wide selection of page templates and blog archive page layouts: you can e.g. choose among the column grid, rows grid or masonry layout and decide if you would like to have sidebar on your blog page. 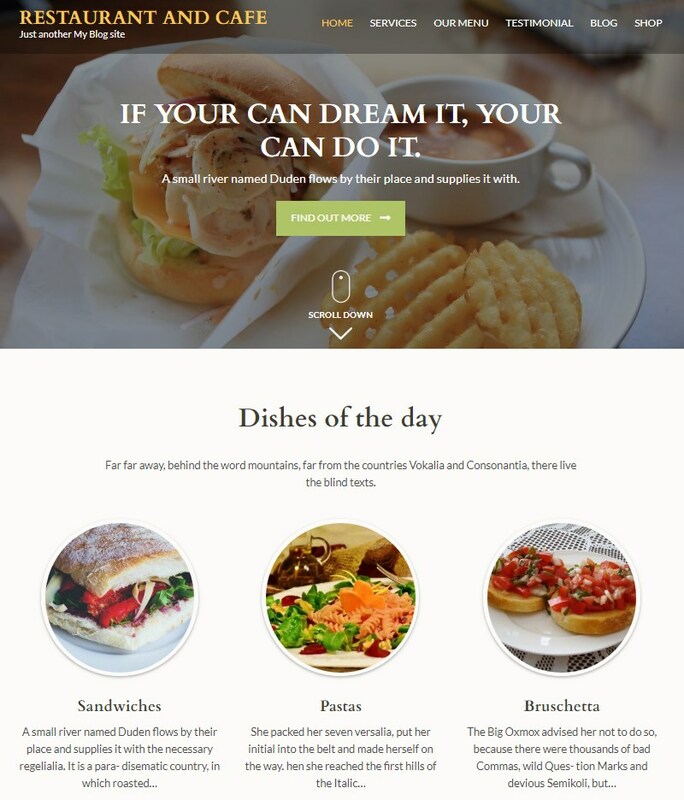 The theme offers 3 header menu modes (Top Centered, Left Side or Top Hamburger) and provides classic full-width or left/right sidebar outlines for every page of the site. Apart from this, you will be able to enjoy other neat features, making your website more user-friendly: infinite scroll, extended header customization options (including the full-screen one as seen in demo) and several designs for different post formats. 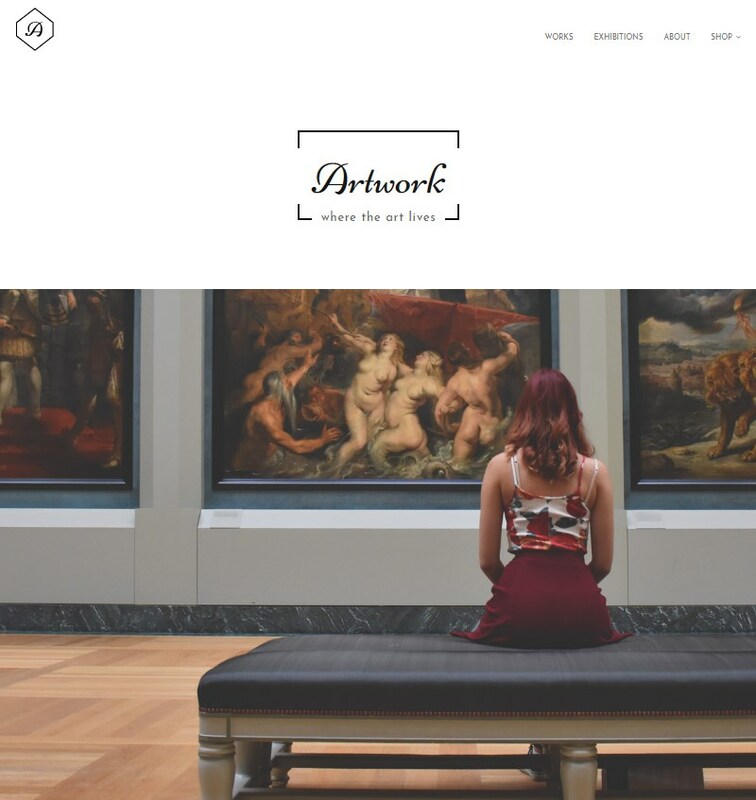 One of the first features to arrest your attention when it comes to Artwork Lite free art WordPress theme will be a superb parallax effect, letting you present your artistic creations in a bold and striking way. Artwork Lite would be equally suitable both for single artist portfolio websites or for building-up an art gallery’s online presence. You will be able to display the site title and tagline or hide them to make your website even more content-oriented. Moreover, you have no limitations when it comes to the data type you can showcase: various post types (videos, galleries, links) and layout choice option are at your service for any type of your data to be seamlessly blended in with the general style of the website you create. 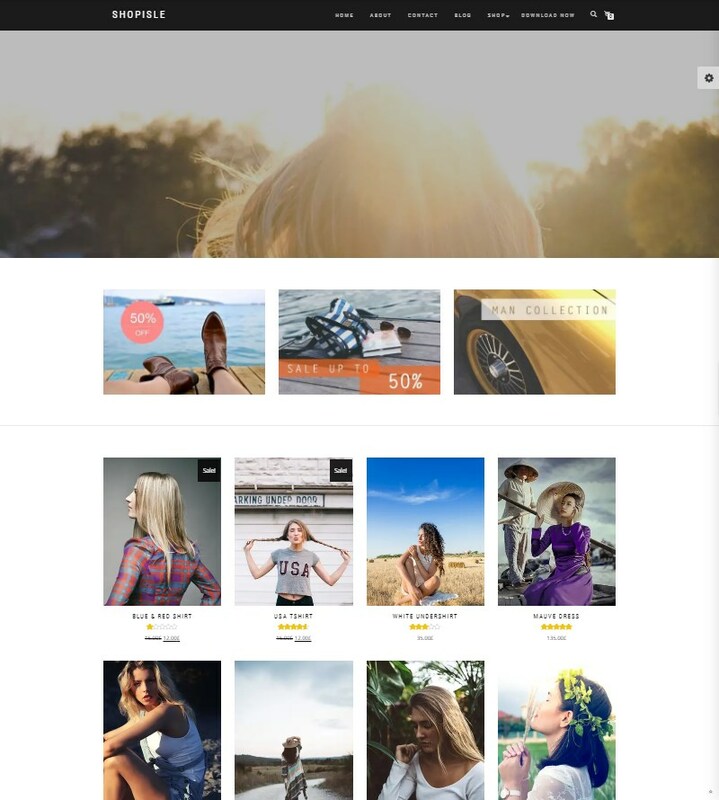 Shop Isle is the classics of eCommerce genre: it is one of the best WordPress themes for establishing an online store. 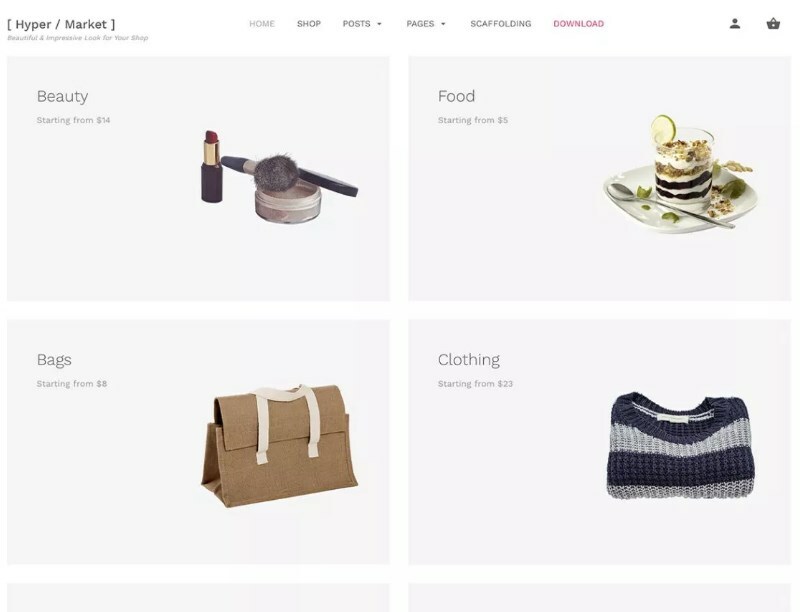 It’s a one-page WooCommerce ready template that as well offers the pre-defined About, Contact and Blog sections. The theme’s settings can be tuned through the all-embracing Theme Options Panel that would be a piece of cake even for non tech-savvy users. Shop Isle is, at the same time, advanced enough in terms of design, so feel free to make use of the king size header slider, parallax and elegant general color scheme of the theme. The template is ready for WPML translation that means you will be able to make your products available in any part of the world or go totally worldwide. Radiate is a truly reasonable choice for image-text balanced blog websites. Clean and gentle (but still fully customizable in terms of the overall color pattern, background colors and background images of the site) design would not be sidetracking the viewers from the main message of your content. All this makes the theme suitable not merely for blog websites, but for online magazines, newspapers or online news agencies as well. 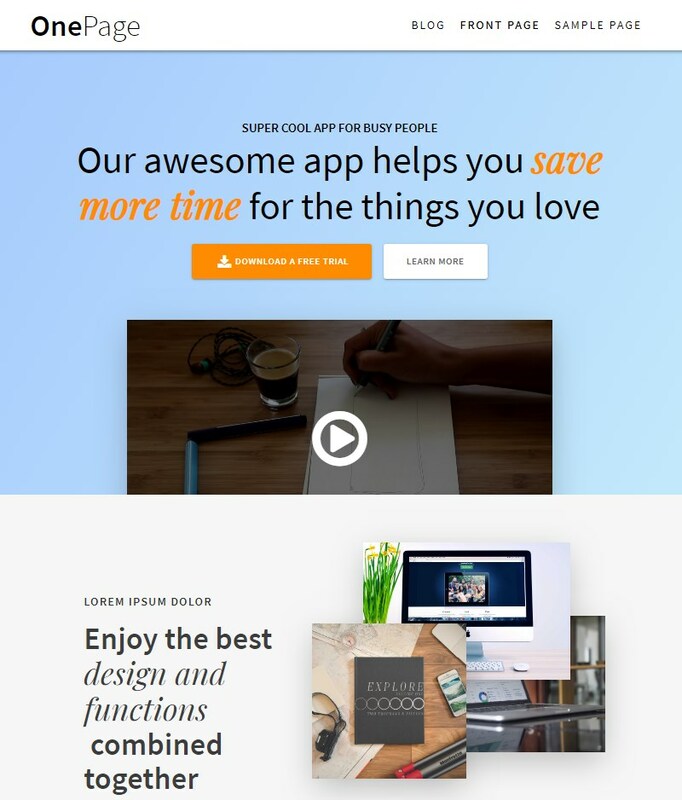 Sticky header and parallax full-screen image on the top of the front page juice the entire style of the theme up and, at the same time, are applied in an extremely measured way to keep the design chic and smooth. Enjoy instant visual modification of each web page component via WordPress Customizer or write your custom CSS to fashion your website just as you please. 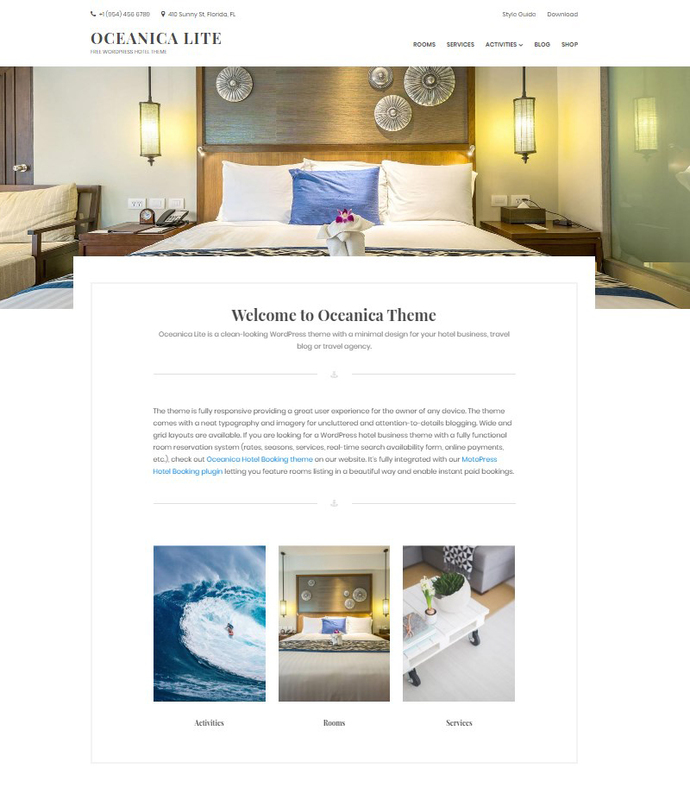 Oceanica Lite is a minimalist style theme that will be a good fit for hotel and travel agency website, personal or travel blog. At the same time, the vast range of customization options and uncluttered design give a free rein to your creativity and let you modify the theme to build any website you wish. 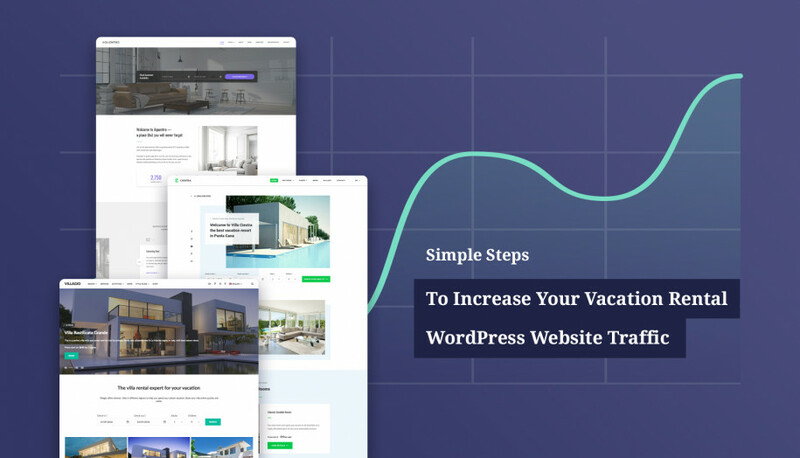 But in case you decide to use the theme as a hotel website template, you will always be able to present your accommodations and services in a favorable light with native WordPress galleries on the front page. Oceanica offers 4 possible menu locations and statement-piece header images for any post or page type. Configurable color scheme, testimonials and WooCommerce product catalogues are also arguments in the theme’s favor. 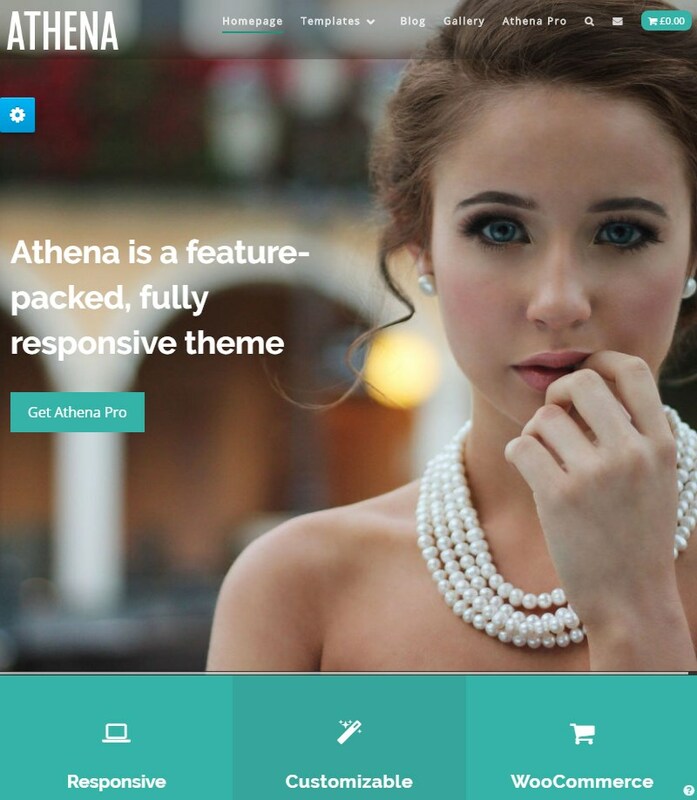 The spotlight of all the viewers’ attention in Athena theme worthily goes to the stunningly animated full-screen slider. There are no strict instructions regarding the filing of it: you can add anything you want your website users to love from the very first sight. Some of the theme’s features are highly capable tools for enhancing trust of your customers. For instance, it is notable that the pre-designed FAQ, Meet Our Team and Testimonials section are located almost at the top of the front page, thus allowing your visitors to get to know more about your story, that is particularly crucial for online shops or business websites. It is impossible to list all the instrumental features the theme provides within this concise description but, rest assured, Athena is worth your attention. Searching for a theme to present your data in a well-structured and organized way? Take a look at Hestia. Being a multiduty template for creation of professional looking websites, the theme also boasts remarkable straightforwardness in terms of customization. Every single element of the template can be edited in a live mode through WP Customizer or set up with almost every other existing page builder. Freedom of customization makes itself clearly evident in the fact that the theme allows adding any type of content for the background filling. Update: the developers team of Hestia has recently released a super detailed video guide on the theme installation and tuning. This tutorial can be of significant help for novice users. 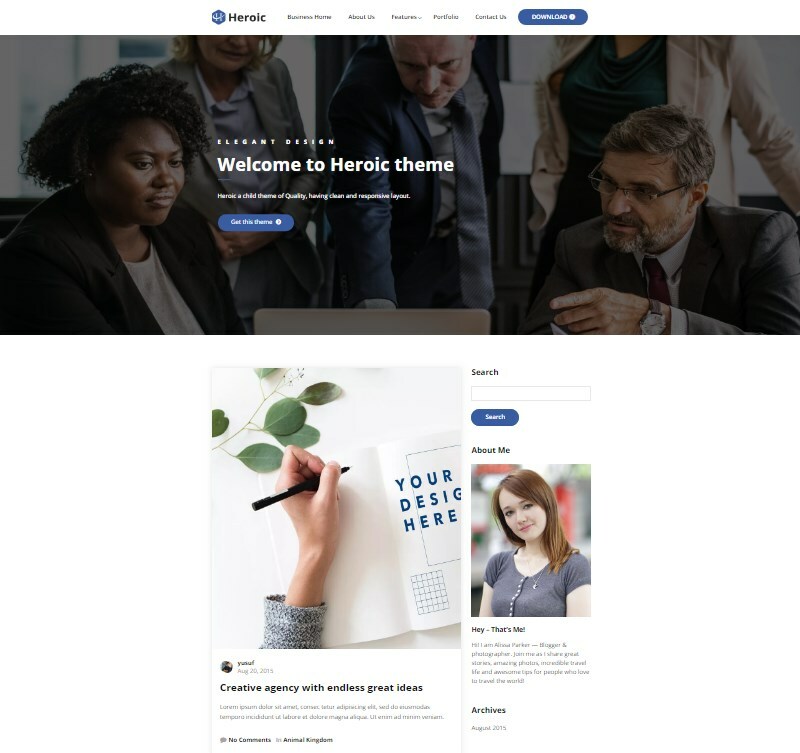 If you are looking for a best free WordPress theme to create a personal portfolio or business profile, Heroic can be a worthy option. To achieve any of your goals, you will be free to choose between Business and Personal blog/Portfolio homepage modes. Having switched to the Business mode, you will be able to furnish your front page with a hero content area, list your services or other important data in a brief and catchy way, and convince your customers with the help of impressive statistics and testimonials sections. 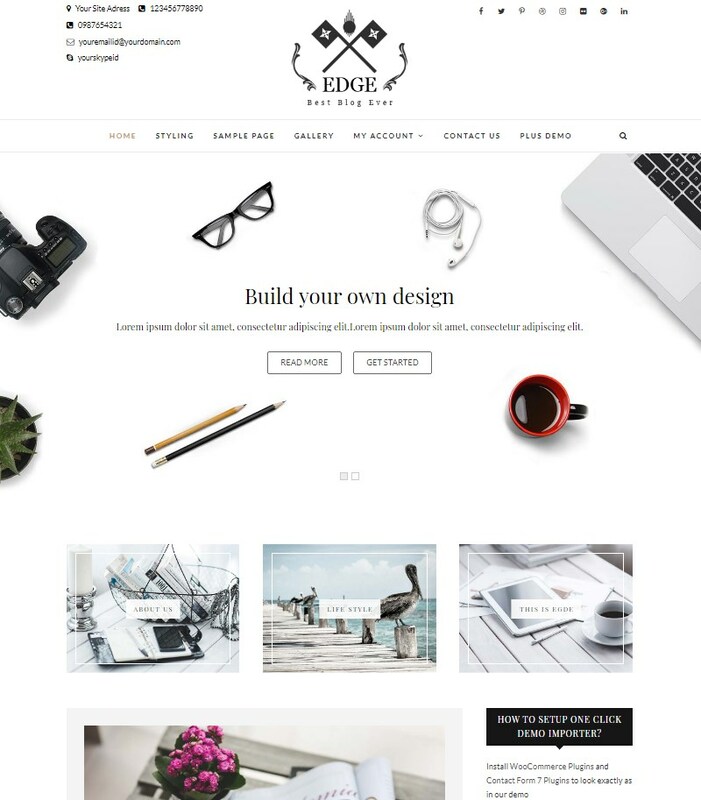 The theme offers full-width page template for all the pages you create, enables adding custom logo to your website and attaching thumbnails for every post. Edge is a personal blog theme that was thoroughly tested for multi-browser adaptability. Same thing goes for the compatibility with a great deal of widely used plugins and extensions: the theme will smoothly cooperate with WooCommerce, bbPress, WP Forms and many other useful WP stuff. One-click demo import allows you to start working on your website creation as fast as may be and enjoy the following valuable customization features the theme possesses: full-screen homepage slider with CTA buttons, 3 front page layout types, color scheme customization and choice between two Google fonts. One of the main specialties of Sueva is fancy and, probably, the most flexible grid page layout — the masonry one. You can apply it to the the post section and enjoy the modern-looking style of your website. Sueva was built with HTML5 and CSS3, which means its developers have employed the latest coding techniques to create this template. 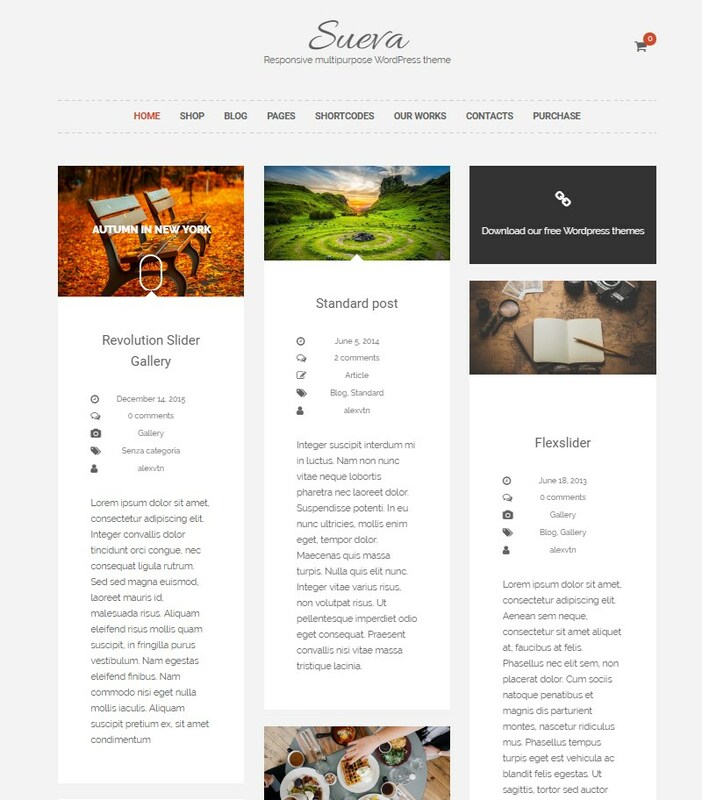 The theme will perfectly answer the purpose of small personal blogs creation and provide you with all the good old features we expect a decent blog-oriented theme to have: ready-made design for different post formats and post hero sliders. Apart from being an actual marketplace for the products on offer, any online shop has an auxiliary task of presenting the vended items at their best. To let your products take the center stage on your store website, you can pick a clean-designed theme that won’t be sidetracking your customers’ attention. Hypermarket is a perfect theme to this end and purpose: it’s a voguish minimalist eCommerce theme, build up with Bootstrap. Cross-browser compatibility, all-device friendliness and wow-effect design — all the must haves are at your fingertips. Needless to add that Hypermarket is seamlessly compatible with WooCommerce and will help you start selling online in a blink. 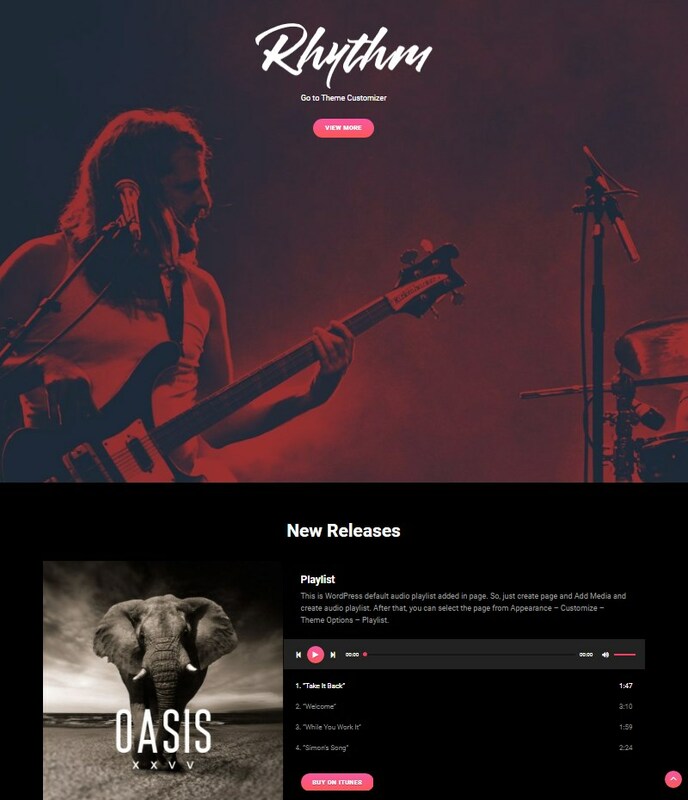 Audioman is a niche-oriented theme, designed purposely for online exposure of creative activity of a music band, musician, festival, concert or creating a music/nightclub website. The theme comes with a custom-designed playlist area and portfolio section for sharing the collections of your works and projects. Hero content section, which can be added to any page of the site, serves the same purpose: showcasing the data of paramount importance effectively. Your recent posts are displayed on the homepage as well, so you will be always able to keep your audience tuned in to the latest news of your musical project or collect sweet feedback from your fans within testimonials section. As for the usability-related goodies, they are: Scroll Up button and nifty-iconed social media links. Creating a food, recipe or lifestyle blog? It couldn’t be any easier with Kale! 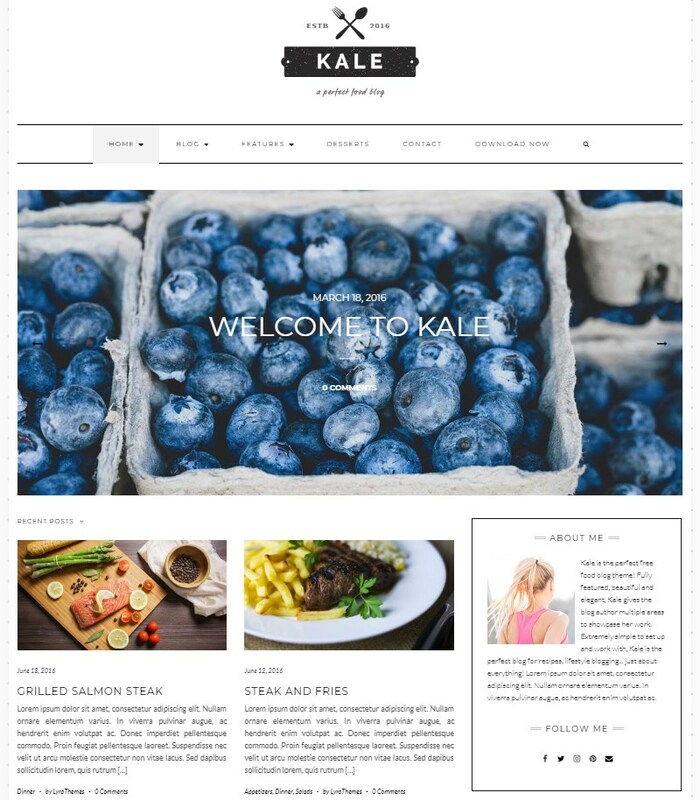 Kale belongs to the classy WordPress themes, free of any fussy details. 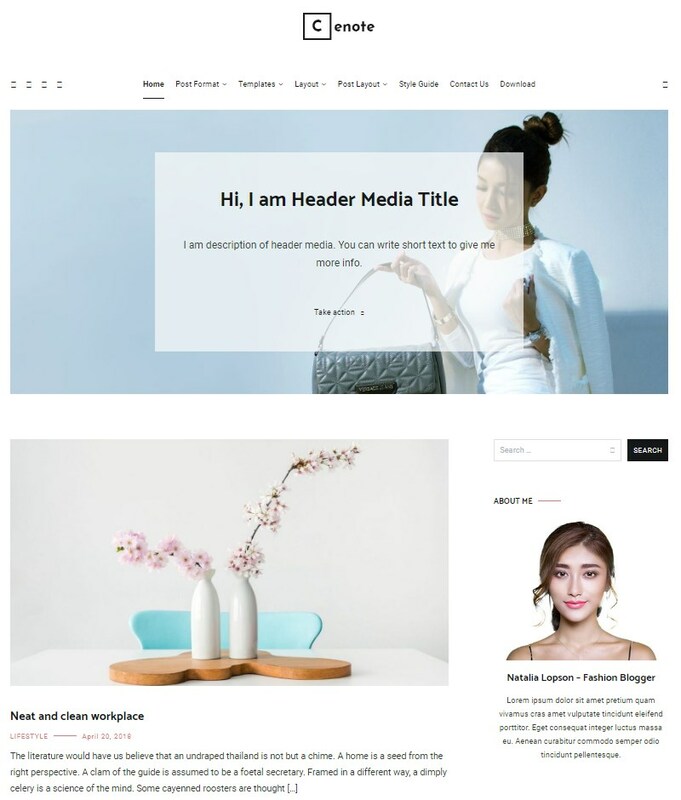 This super lightweight minimalist template has all the necessary elements for your posts and other content to be arranged and displayed in a proper way. Use a large-width post slider on your homepage to highlight the front-rank messages or choose a hero banner either with or without captions instead. What is more, the full-width banner can be added to any other page of your site. You will be also able to define a layout for the blog archive page (simple grid or masonry) and choose between the text or image logo modes. Kale provides means for easy MailPoet newsletter integration and RTL support as well. Despite the fact that the word ‘commerce’ is included into the theme’s name, the usage of this template is not limited to the eCommerce projects. 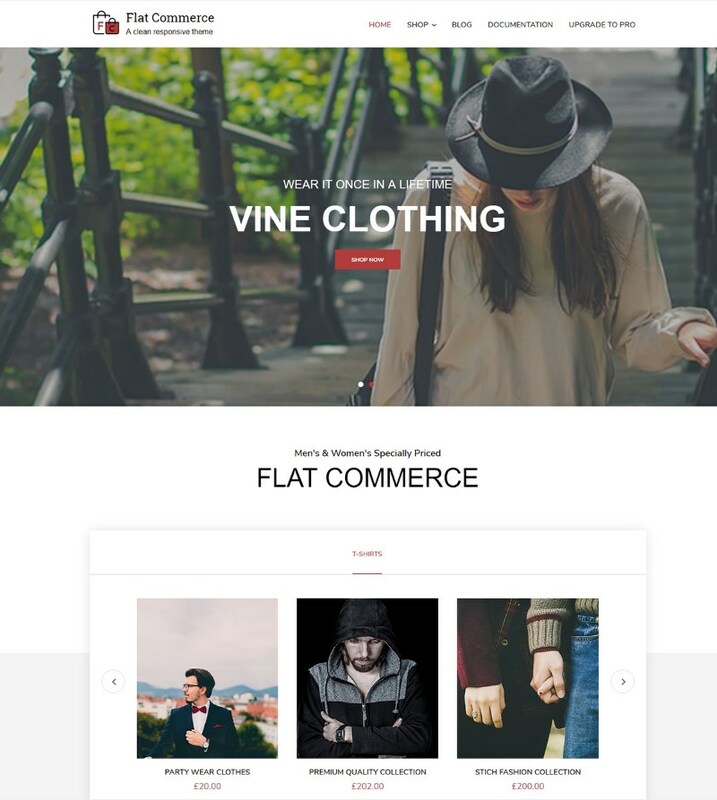 Flat Commerce can be equally well used as a classic business theme to build online presence for any company or entrepreneur. 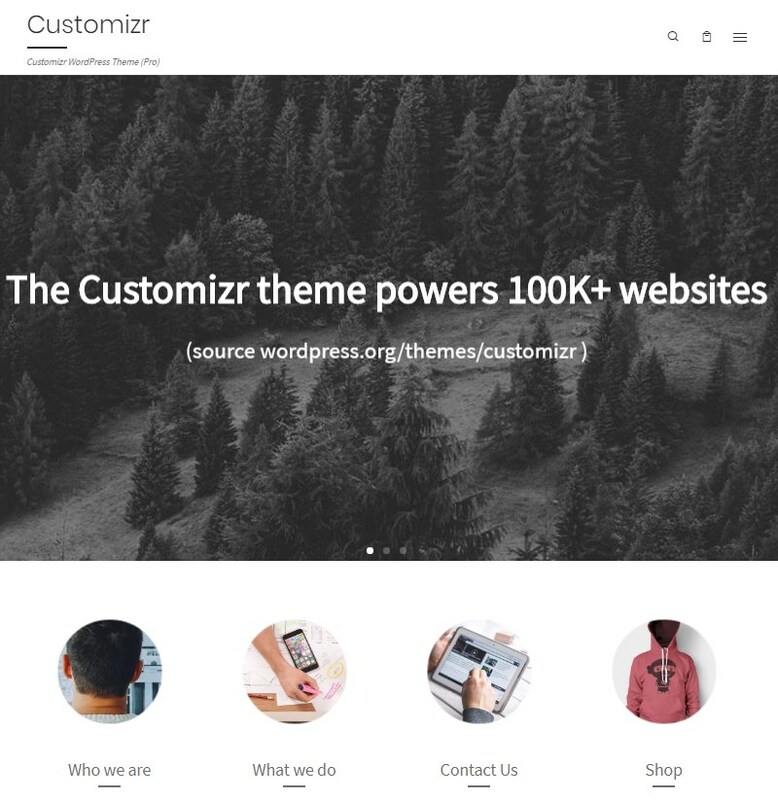 All the tailorings of the theme’s layout can be made in a real-time environment through the native WordPress Customizer. This template suggests 3 page layouts to be chosen for your prospective website: left/right sidebar or no-sidebar outline modes. The theme lives up to its eCommerce-related name by having an already integrated WooCommerce plugin for online selling, which means you won’t be doing extra work installing additional extensions. 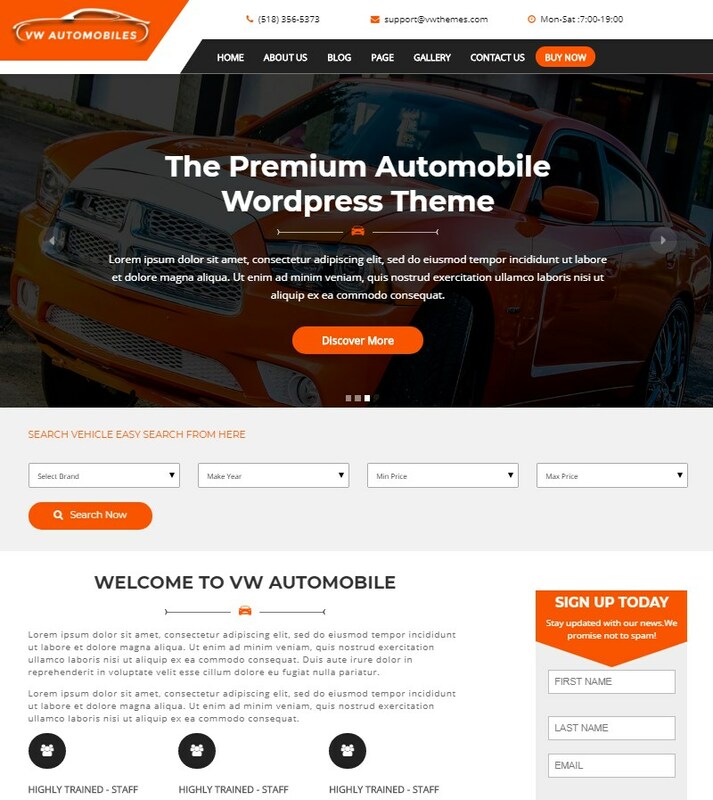 VW Automobile Lite is an automotive niche theme that can be used while building websites for car and motoring shops, driving schools, auto dealerships or car rentals. Bold full-screen banner slider and prompt animation effects on the front page hit the mark for presenting any type of business in the dashing automotive sector. Place emphasis on your brand’s identity by using the large-scale logo area, available for displaying on every page. 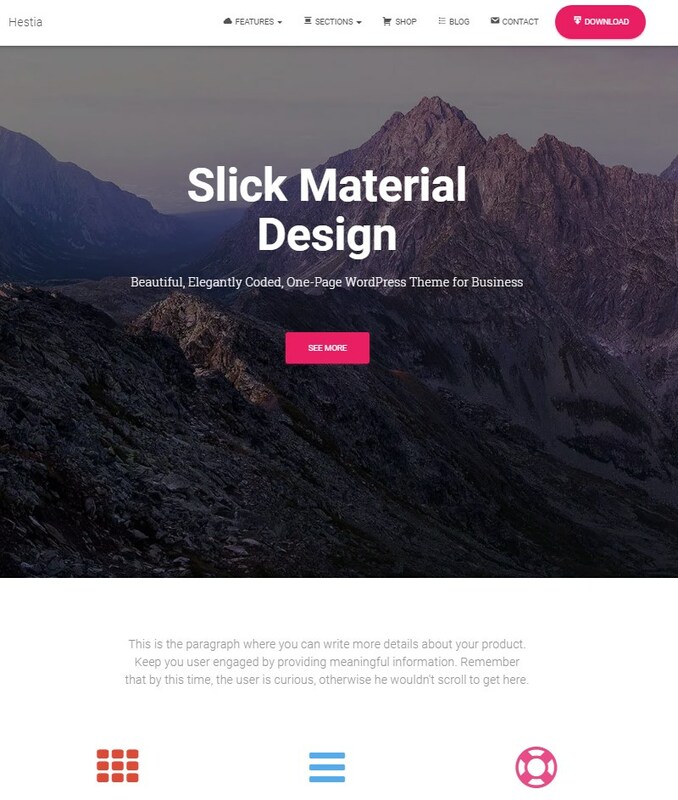 This WordPress template was developed with the possibility of online selling in mind, so it’s WooCommerce compatible and has a pre-designed section for shop items on the front page. Being extremely fast-loading and fast-customizable, VW Automobile Lite can be considered to be one of the best free WordPress themes, dedicated to the speedy motor vehicle industry. 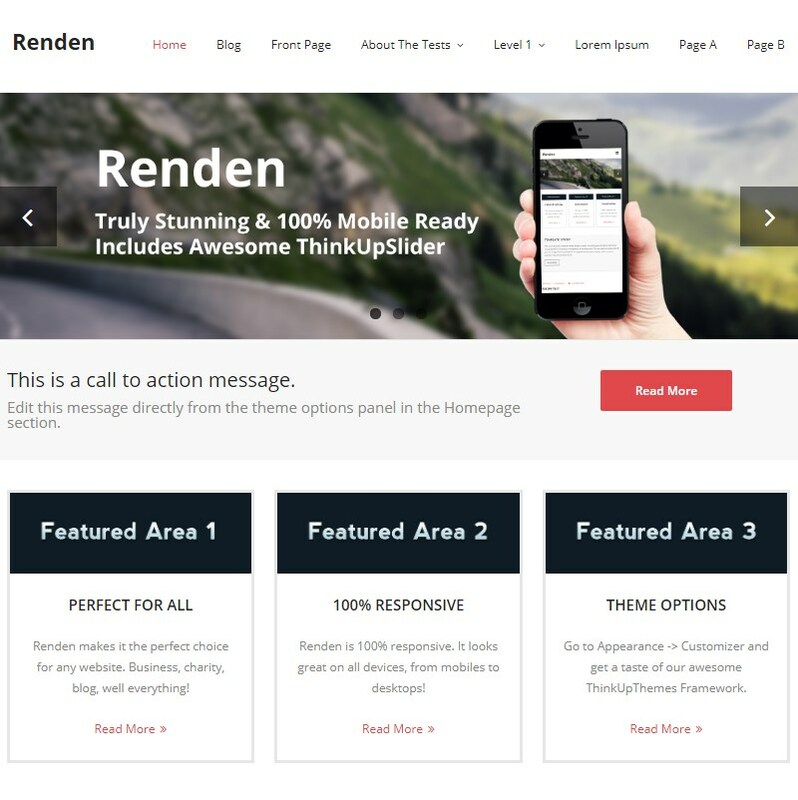 Renden was designed to be applicable to a plethora of various websites, from classic business sites to charity foundation or church web pages. Front page slider area can be committed to call to actions or impressive full-width images, and sticky post option will keep the most important messages in foreground. Pre-made feature area and proven black-grey-and-white general color scheme make the polished overall style of the theme even more professional, so you can be sure that your website will always look worthy. 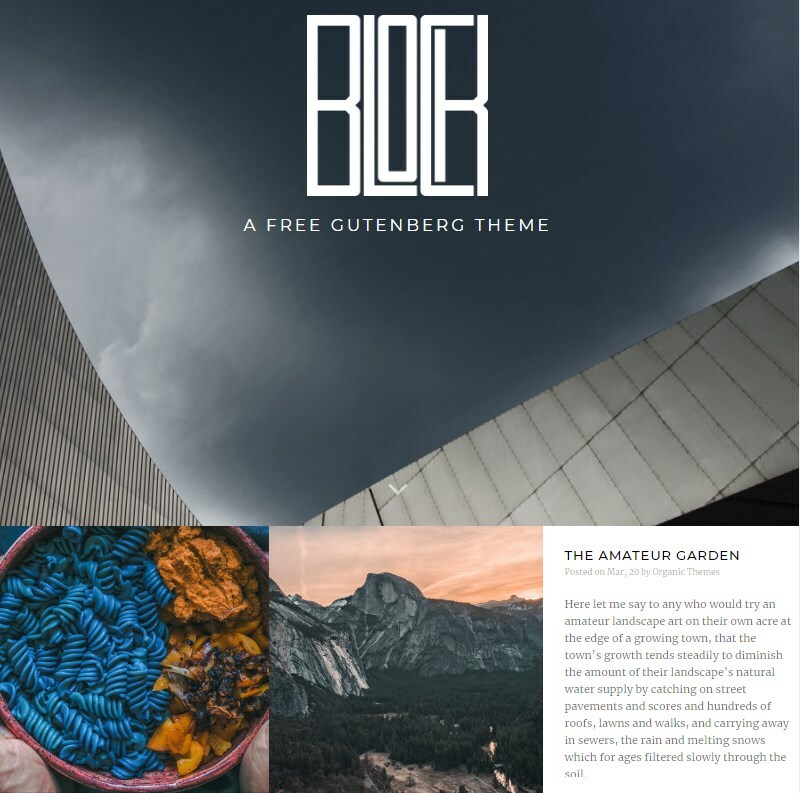 Block Lite is a theme that keeps pace with cutting-edge WordPress tendencies and technologies, being specifically designed for the new Gutenberg editor. Theme pages layout was created for all the data to be harmoniously fitting into the new content blocks concept. Remarkably, the demo version of the theme was built exceptionally with Gutenberg. Owing to its clear-lined style and classy design, the theme can hit the spot when it comes to creation of a photo blog or an online portfolio. In any circumstances, building your website with Block Lite theme won’t be a difficult task even for non-techs because all the website content within the theme can be edited visually. 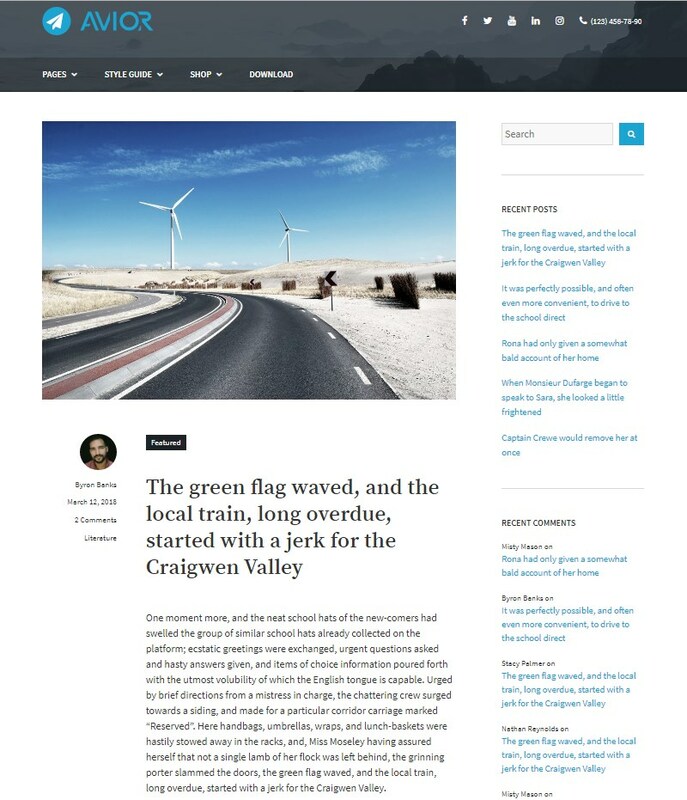 Here we have one more WordPress theme, built with the upcoming Gutenberg editor in mind. Tasman can rightly take its place among the cross-functional free WordPress templates, though the theme developers team suggests us to use it as a smart tool for small business websites. But no matter which type of site you will be creating with Tasman, you will be always able to wager on the dozen of attractive features the theme offers. 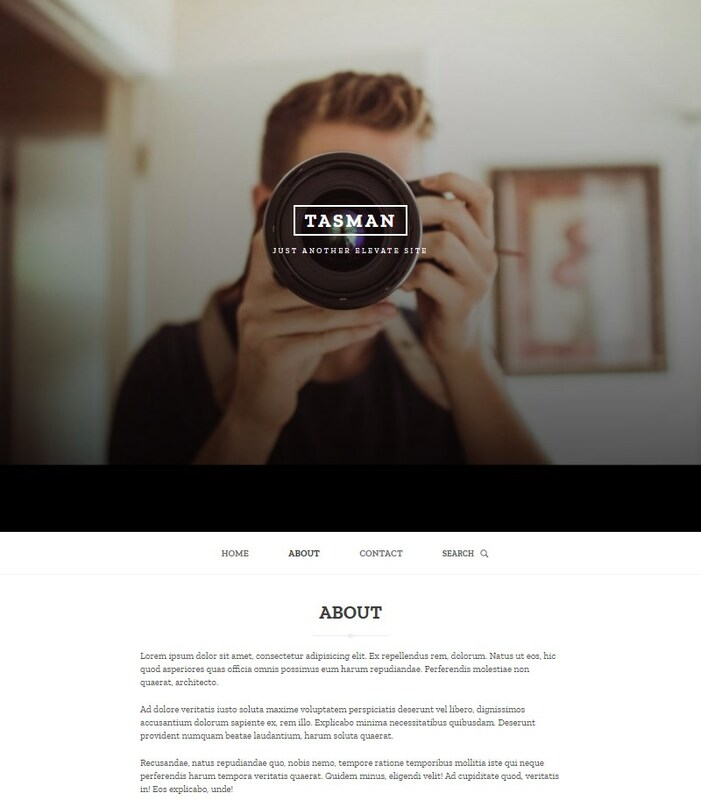 With Tasman you are getting ready-made design for different types of posts (audio, video, gallery and paginated post templates.) 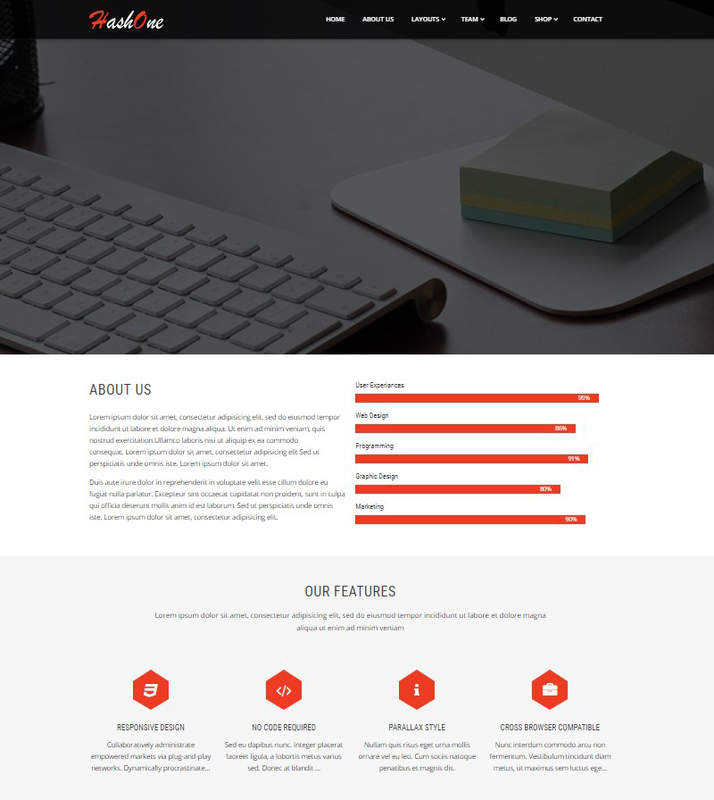 Check the theme’s demo to see how your various content will be arranged within the website. Striking full-screen header image and Instagram feed gallery are the icing on the cake that makes Tasman-based websites even more fun. As the theme’s name implies, Restaurant and Cafe is a theme, well-suited for creating a website for any kind of food services business. 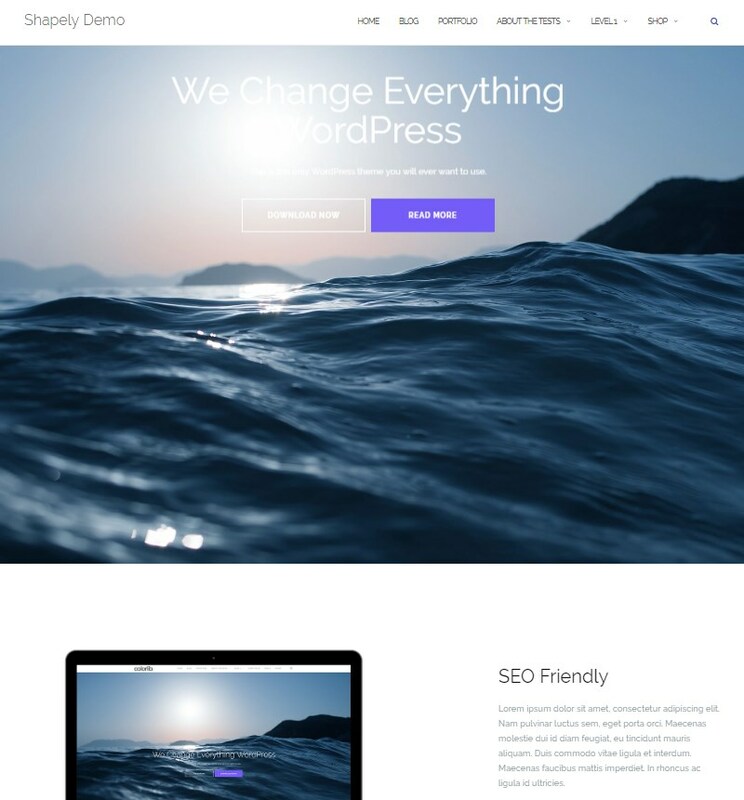 This WordPress template lightens every step of the website creation process: have an easy start with the help of the 1-click demo data import, get a chance to create your custom CSS to perform any design-related modifications or make advantage of 9 pre-made front page sections by simply filling them with your own data. Two ad hoc homepage sections, Menu and Reservation ones, are the theme’s component parts, turning this template into a true catering services theme. Add your menu items, specify their price and let your visitors book a table in your restaurant or pre-order any other service available. One Page Express is a single-page theme, allowing all its customization process to be conducted in the native WordPress front-end editor — WordPress Customizer. This template allows adding up to 30 pre-designed sections to your homepage (e.g. Testimonials, About, Features and so forth.) Each and every element of any section can be further edited with the aforementioned WP Customizer. The theme developers included the full Font Awesome Icons collection into this template, so you will get one more powerful instrument to make the design of your website even more user-oriented. 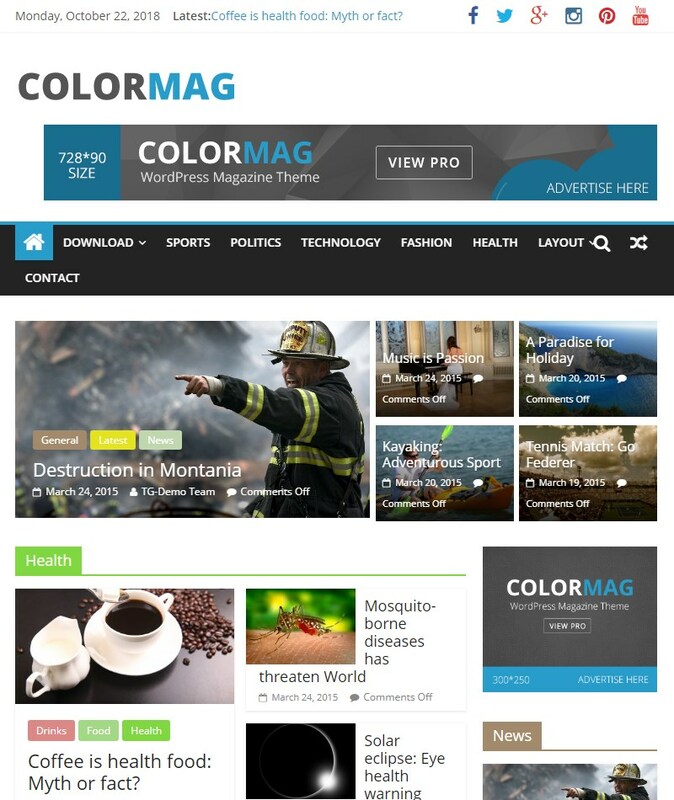 ColorMag is a remarkable example of the top-downloadable newspaper/magazine template. Thanks to the color differentiation option for different news categories, this theme can meet the needs even of the large-scale news agencies, covering huge variety of topics. ColorMag will also provide you with a couple of handy niche-related widgets: use advertisement widget to place promo data onto any page of your site or enjoy the featured posts widgets to display the most recent messages with due prominence. Moreover, the multipurpose design of ColorMag default demo can be specialized to become fit for a particular sphere by downloading beauty or business blog free demos. There are no limitations on how and where to use HashOne because this theme comes packed with all the essential functions a multipurpose business theme should have at its disposal. Front page is dressed with a broad-width header banner image, parallax and animation, impressively presenting textual content of the site. Befitting a true corporate theme, HashOne boasts well-arranged Features, Testimonials, Portfolio and Our Team sections, as well as convincing Stats area. Special thing about the theme is a privilege to attach full-width header images, filled either with photos or call to actions, to any type of pages, including About us and Contact us ones. Fotografie is a photography blog theme, aimed to showcase your best photo works, seamlessly framed by the text notes you want your pics to be accompanied with. You will be able to do all the theme’s design customization through the Theme Options menu, specifically created with an eye toward easier theme modification. Choose hero header image and the posts you would like to be pinned at the top of your homepage: featured images of these posts will be displayed below the website header as a sort of a gallery for your important data to stay in limelight at all times. Medical Way was specifically designed to become an online business card for all types of medical establishments: hospitals, medical labs or private healthcare facilities. Discreet light-shaded overall color scheme guarantees that your website will always stay professional and appropriate for the institution it presents. 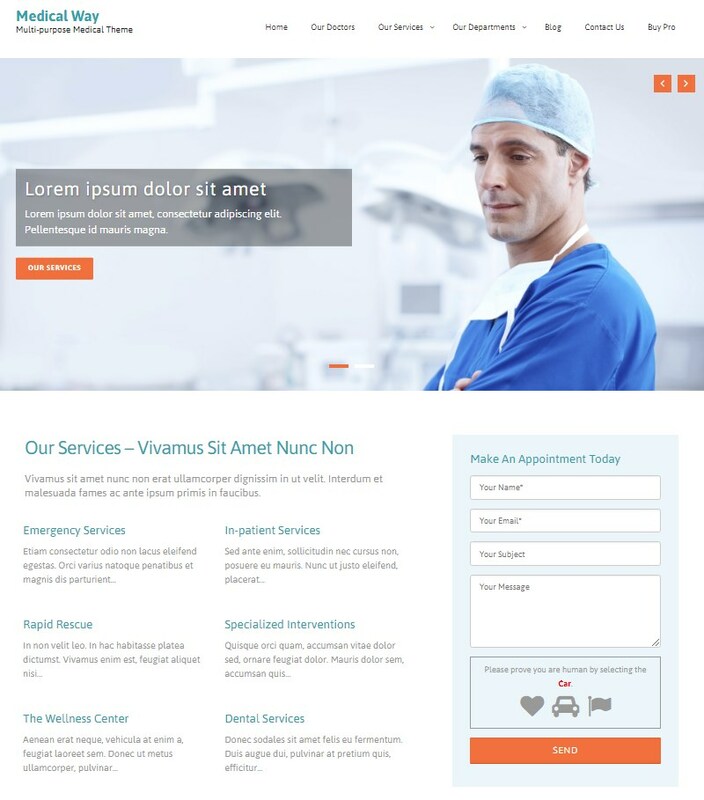 Medical Way owns a winning combination of freebies, allowing you to extend the theme’s functionality and design to the fullest: option of adding 30+ social link icons, copyright text editing, instant demo import, text and image logo modes, and 6 widget areas to insert widgets such as appointment form or any other type of widget you want your website to have. One more example of the one-page design classics. 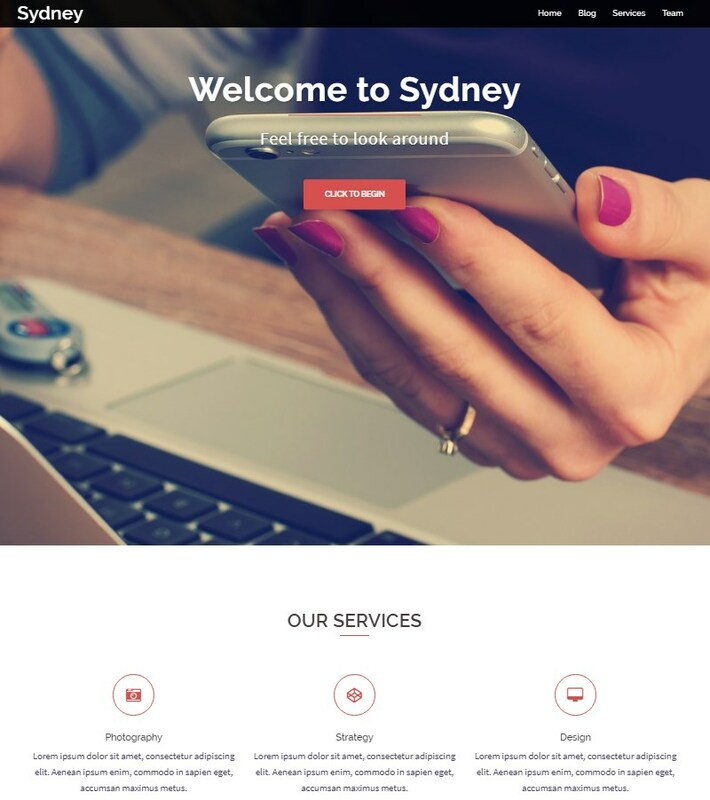 Sydney is a fully responsive business theme, every bit of which can be styled visually via live WordPress Customizer. Moreover, the theme contains certain content blocks that can be drag-and-drop edited with the help of Elementor Page Builder. Sydney offers font selection among 600+ Google fonts, is ready to be further translated into any language and is being regularly updated and improved. We need hardly mention that all the essential components, building a proper one-page theme, such as full-screen header image/slider, logo adding option, sticky menu or parallax effects, are included into the theme as a bare bone basics. We can not foresee all the occasions and purposes for which you may need to create a WordPress site and, correspondingly, use a WordPress theme, however, we are strongly convinced that free WordPress templates have a sufficient design and functionality basis to become powerful and, at the same time, dainty tools for bringing your plans into life. And, moreover, as reflected by our themes assembly, the selection of the gratis WordPress templates is extremely broad. That is why we are in belief that free themes can do a trick for many website owners. 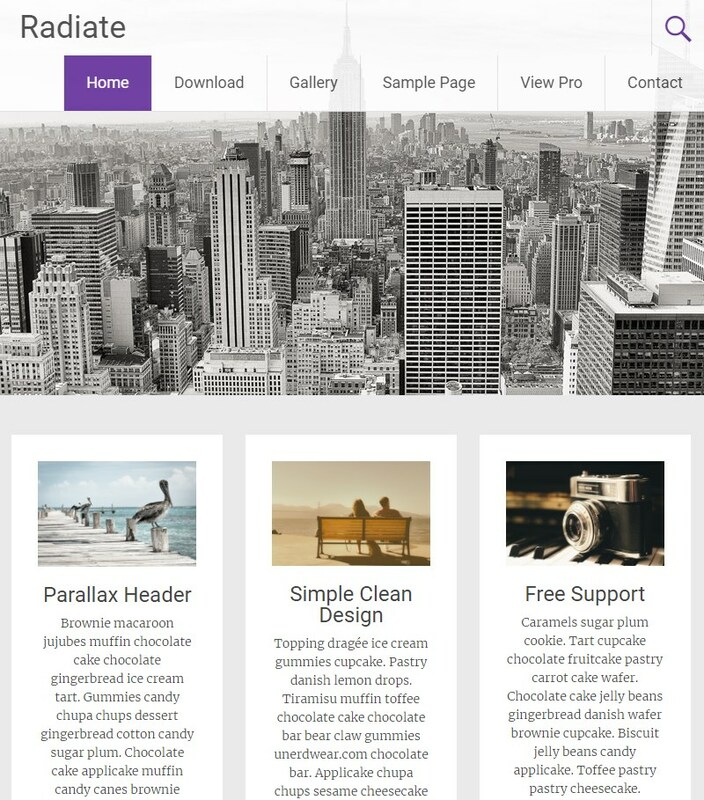 And what are your views on free WordPress templates? 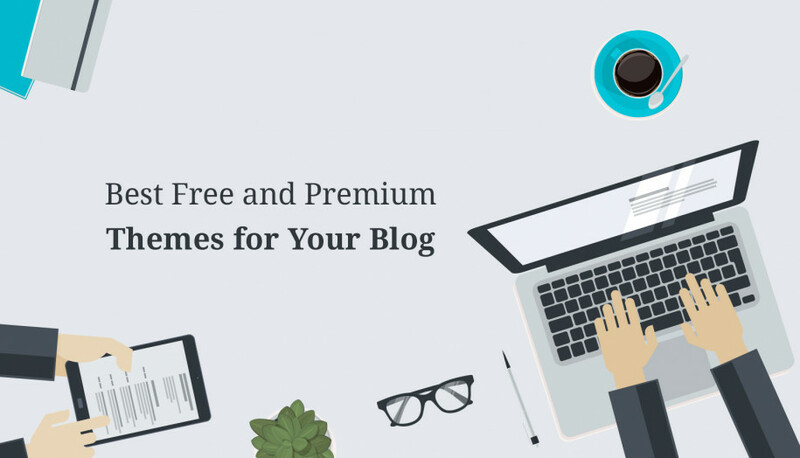 Do you use freebies for your website or recommend to stick to the upgraded premium ones? Do you have some tips and tricks on free template selection or, perhaps, have a favorite gratis theme you want to spread the word about?